Two of my favorite elements in an image, perspective, and architecture. 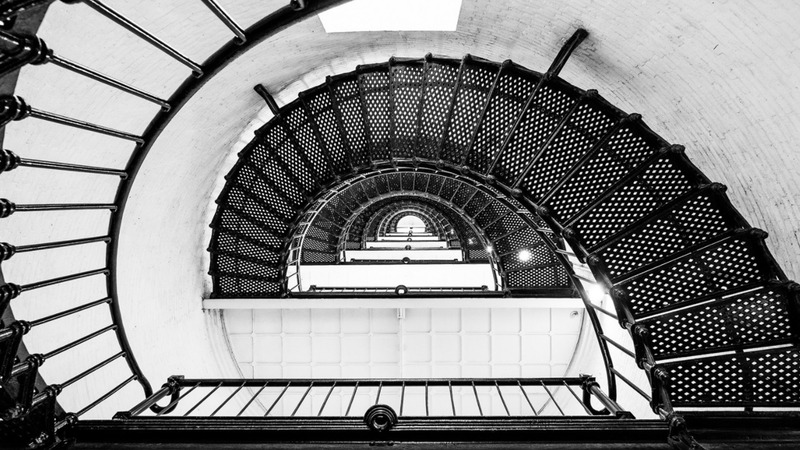 I love the choice of high contrast black and white for this as it brings out the details and emphasizes the shapes within the staircase. This is also a great reminder when you’re traveling and going on tours to not be afraid of stopping and looking around to find the shot you want. They may nudge you to move along or catch up but it’s almost always worth it to take a bit of extra time to see the area without other people, or to spend a minute shooting different perspectives instead of just getting that one tourist shot. It’s an iconic shot and very well done, Mike. Happy to share it with the Photofocus readers.